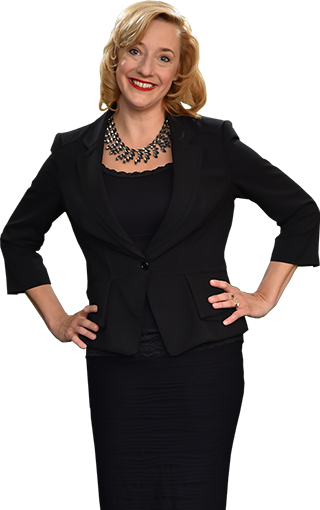 Heidi is a Martindale-Hubbell AV-rated attorney who practices in elder law, Medicaid planning, guardianship, probate and trust administration, probate and guardianship litigation, estate planning and special-needs trusts. Heidi is the current Vice President of Share the Care, Inc. Admitted to bar, 1997, Florida; 1998, U.S. District Court, Middle District of Florida; 1999, U.S. Court of Appeals, Eleventh Circuit. University of Illinois, Urbana-Champaign (B.S., 1993); Regent University School of Law, Virginia Beach, Virginia (J.D., Fall, 1995). The Florida Bar (Member, Elder Law Section and Real Property, Probate and Trust Section); Orange County Bar Association (Chairperson of the Estate, Guardianship and Trust Law Committee, 2004-2005, Co-Chairperson of the Estate, Guardianship and Trust Law Committee; 2003-2004, Member, Elder Law Committee); National Academy of Elder Law Attorneys; Florida State Guardianship Association. 2017, Super Lawyer, Super Lawyers Magazine, Thomas Reuters; 2017, The Best Lawyers in America, U.S. News & World Report; 2007-2015, Florida Legal Elite, Florida Trend Magazine; 2011-2015, Super Lawyer, Florida Super Lawyers Magazine; 2015, Named to Top 50 List of Women Super Lawyers in Florida by Super Lawyers Magazine; 2012, Five Star Wealth Manager, Orlando Home & Leisure Magazine; 2012, Top Women Lawyers, Orlando Home & Leisure Magazine; 2012, recognized by The Florida Supreme Court, The Florida Bar’s Young Lawyers Division for pro bono work; 2005, Best of the Bar, Orlando Business Journal; two time Paul Harris Fellow; recognized by The J.P. Holbrook Foundation. 2012-2014, Board President of Share the Care, Inc.; 2015, Vice President of Share the Care, Inc.; 2015, President of the Rotary Club of Orlando Foundation; 2013-2015, Vice President of the Rotary Club of Orlando Foundation; (2011-2012, Vice President; 2009-2010, Board of Directors); 2012-2013, Rotary Club of Orlando Foundation Board of Directors; 2008-2009, Rotary Club of Orlando President, 2005-2007, Rotary Club of Orlando Board of Directors, 2010-2011, Speaker Chair; 2007-2008, Rotary Leadership Institute Graduate; 2011, Guardianship Committee for the Elder Law Section; 2007, Professor, Barry University School of Law, Orlando, FL, course taught and co-authored, Florida Probate Practice; Classes taught, Elective Share and Advanced Directives; 2004, Member, Task Force, Florida-Georgia District of Lutheran Church-Missouri Synod; 2001-2002, Guest Panelist, WMFE “Ask-A-Lawyer” Channel 24 Broadcast; 2003, Planning Committee, WMFE “Ask-A Lawyer” Broadcast; 2018, Guest Panelist, “Caring for the Caregiver” hosted by Morgan Stanley Wealth Management; 2018, Speaker, “Guardianship and Guardianship for the Elder Law Practice” hosted by The Orange County Bar Association Elder Law and Estate, Guardianship & Trust Committees.